SVDN (Silicon Valley Developer Network) is looking for 2-3 passionate people to grow the developer community together with me. This developer community is growing pretty fast. With the upcoming Blockchain Developer Hackathon, iOS Developer Meetup, and Blockchain Developer Meetup, I have found bigger needs and potentials in helping this community to grow. A full time or halftime role to help the organizer to drive the developer community activities, especially the blockchain related developer activities. This person will active as organizer’s assistant coordinating with organizer team, speakers on a regular base. Blockchain Developer Hackathon: coordinate with organizer team and sponsors, and partners. This is a part time role as contributor to the community and no salary. You will organizer developer meetups in SV and SF on behalf of SVDN in Blockchain, Android, iOS, and etc. 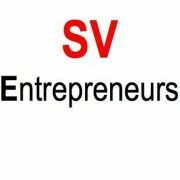 Please email to join@sve.io with your bio / resume, availability and expectations.